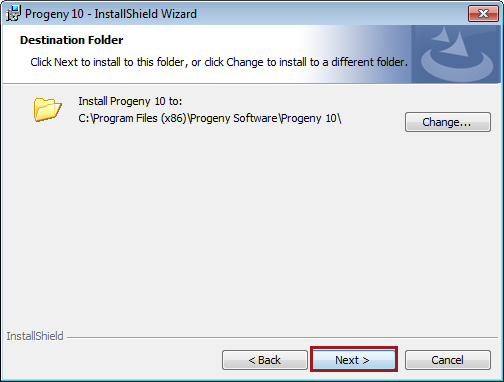 This documentation will assist with installing the major components of the Progeny 10 software package and provide basic options for customizing the installation. 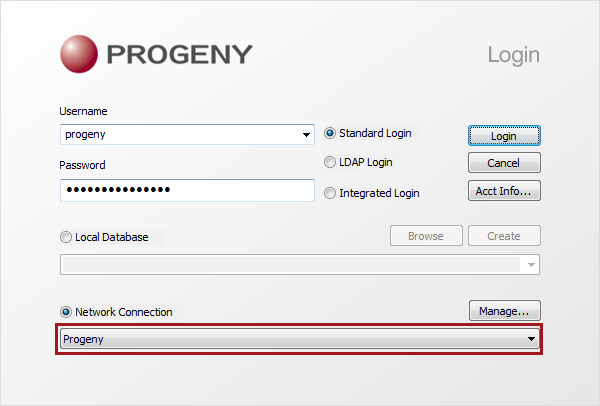 As always, Progeny Support is available to assist should users have any questions about the application installation or if your network has special/non-standard configurations that require additional consideration. Progeny no longer ships physical media for its software – installation and update files are delivered via digital download. Use the credentials from the introductory email along with hyperlinks from this document/hyperlinks from a Progeny representative to download the various components of Progeny 10. When updates are issued, Progeny will send an email notification containing a hyperlink to the update and release notes. Updates to the Progeny Desktop Client are provided in the form of a .exe file which is downloaded and run on the end user’s PC. 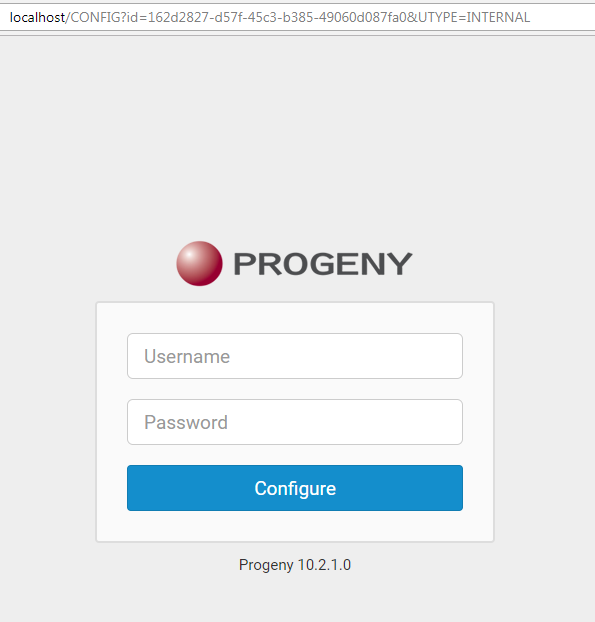 Progeny Desktop Client update notices will be sent to anyone on our email notification list. Updated versions are also available from the login screen of the Progeny Desktop client via the Acct Info… and Update… buttons. 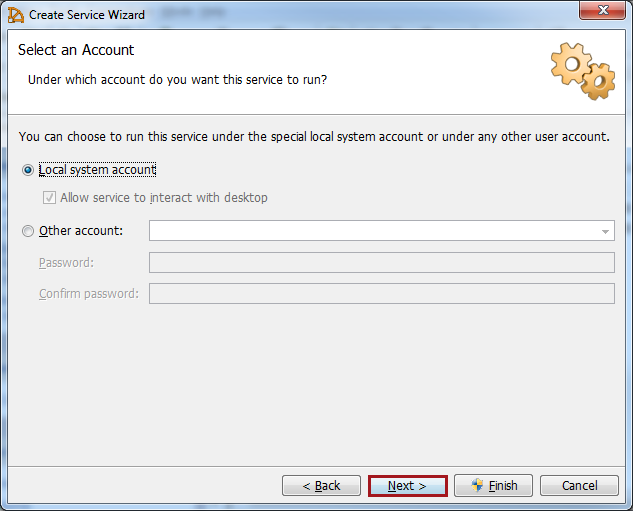 Log into the desktop computer with a user account that has LOCAL ADMINISTRATIVE rights. 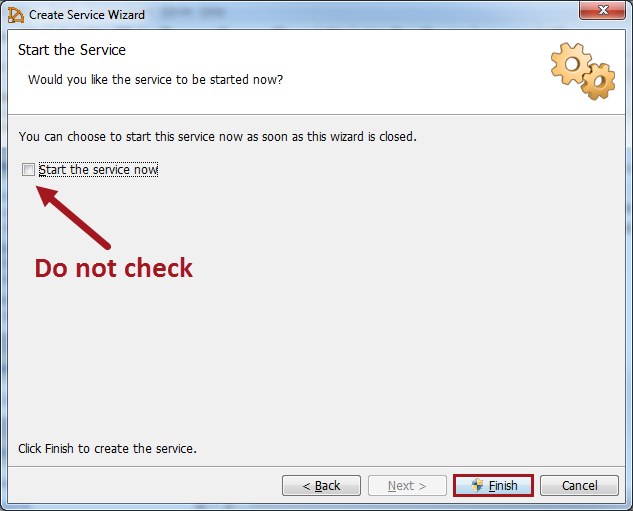 Without LOCAL ADMINISTRATIVE rights, users will not be able to complete the installation of the desktop client. BEFORE GOING ANY FURTHER – make sure to create a backup of all active databases. The conversion from Progeny 8 or 9 to Progeny 10 CANNOT BE REVERSED. 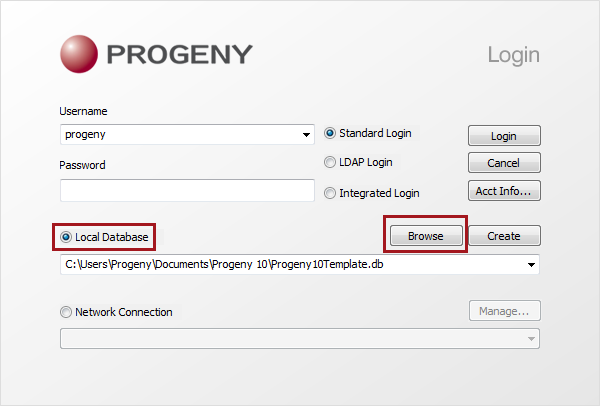 From the database server, make manual backups of BOTH the database file and the transaction log file for each database that will be upgraded to Progeny 10. Before installing any of the Progeny software, verify the computer configuration meets the System Requirements. Windows 10 – Type in the windows search bar, at the bottom left of the taskbar, System and choose System when it appears. Windows 8 – Hold down the Windows key and press X on the keyboard (WIN+X) and choose System from the menu that appears. Windows 7 – Open Control Panel, click on System and Security and click System. 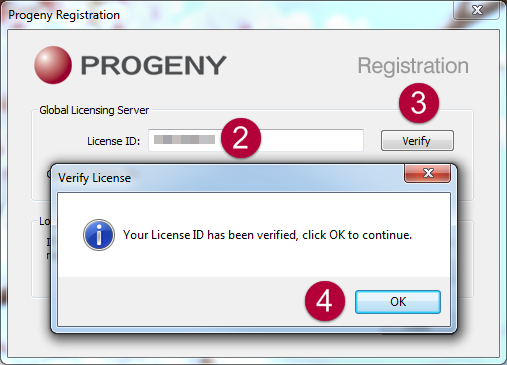 Once that is confirmed, then you can proceed to download the Progeny Desktop Client. NOTE: This requires your Customer Number. If you do not know this number, reach out to Progeny Support for assistance. Double-click the .exe file to launch the installation utility. 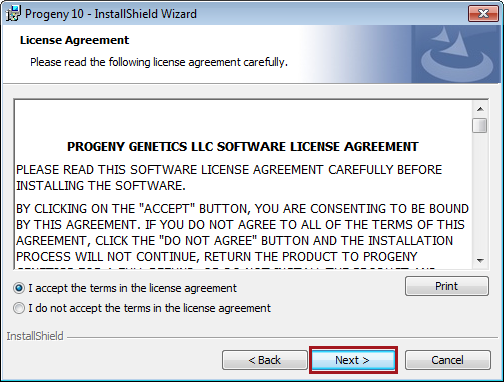 Click Next to proceed to the Software License Agreement. Please take a moment to read through the License Agreement (or print a copy). 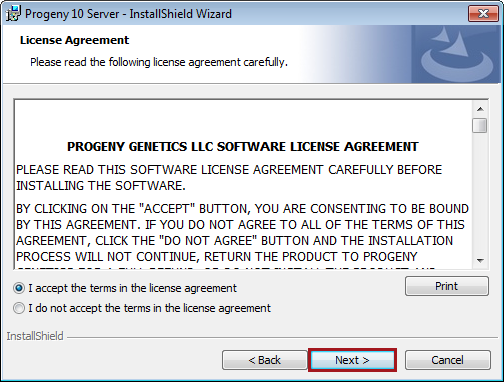 When ready to proceed, select the I accept the terms in the license agreement radio button and click Next. 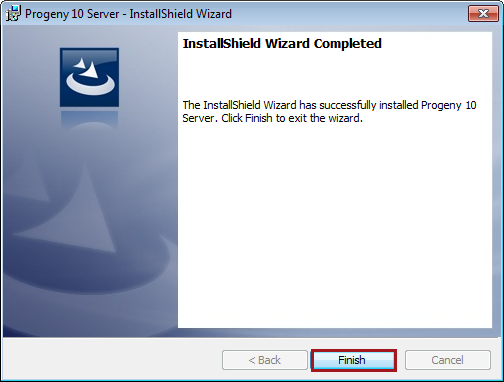 Click Install to continue the installation process. 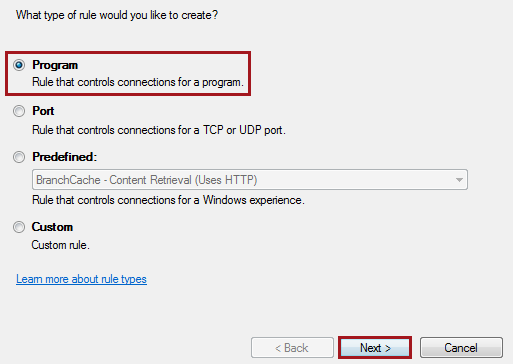 If using Windows 10, Windows 8, or Windows 7, users may encounter a Windows UAC (User Account Control) prompt after clicking the Install button. Click Yes on the UAC prompt to continue the installation. The installation process usually takes between 30 seconds to 2 minutes depending on the computer. When a successful confirmation message is displayed, click the Finish button to complete the installation and close the installer window. Input the License ID provided in the introductory email. For the Progeny client and web software to be licensed, a connection to and from the Progeny Licensing Server must be allowed. Please review the GLS Introduction or contact Progeny Support for assistance. 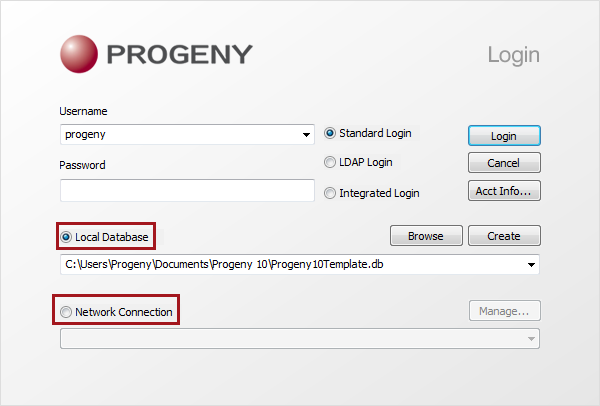 From the Progeny login screen, there are two options for connecting to a database: Local Database and Network Connection. A Local Database connection is used for Progeny databases stored on the user’s desktop or on a network share. 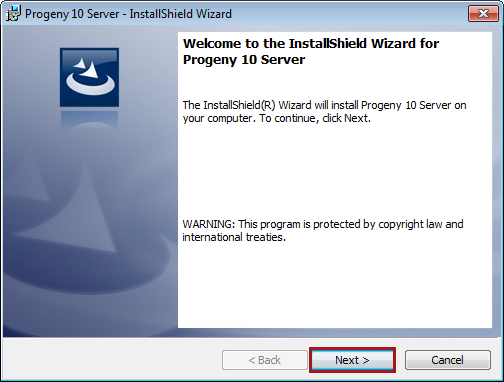 When the Progeny Desktop Client is installed, the Progeny Template Demo database is automatically installed to the user’s Documents\Progeny 10 folder. Local connections allow only one user to be connected to the database at a time. 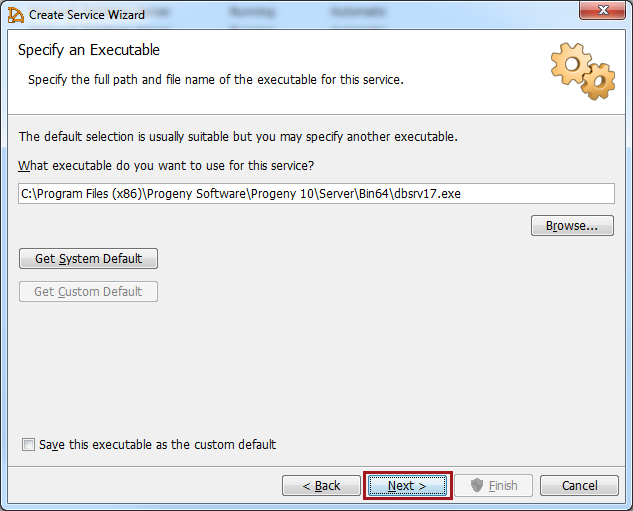 The next pop-up window allows users to browse to the database file. 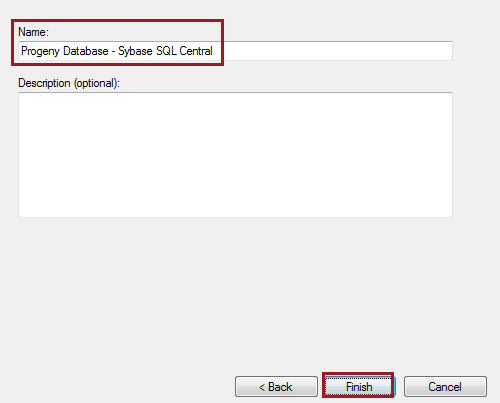 Once located, select the database file, click the Open button to return to the login screen with the selected database. Enter the username and password for the database, then click the Login button to log into the database. A Network Connection is used for Progeny databases hosted on the network using the Progeny Server application. Connection Name This is the database name that will appear in the Network Connection drop-down list on the login screen. Choose any name that can be easily distinguishable between databases. Database Service This is the broadcast name of the network Database Service. It must match the broadcast name EXACTLY in both spelling and case. 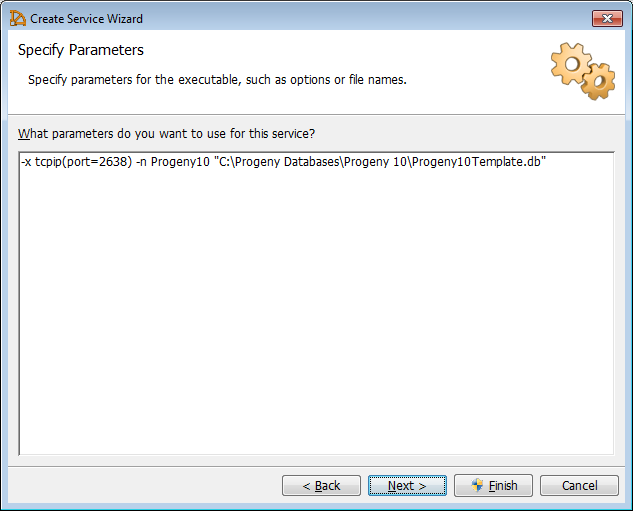 It is the value of the –n parameter in the service configuration of the database in SQL Anywhere. 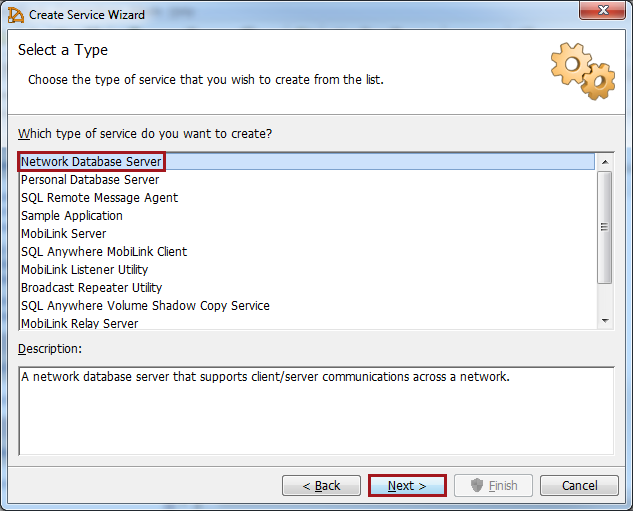 Database Name While both the Database Name and Host Address parameters are considered optional, the Database Name parameter is the only one that is truly not required. This is necessary if multiple databases are running off the same Database Service. Host Address This will be either the database server’s IP address, hostname, or FQDN (Fully Qualified Domain Name) followed by a colon (:) and the port number that the Database Service is using. 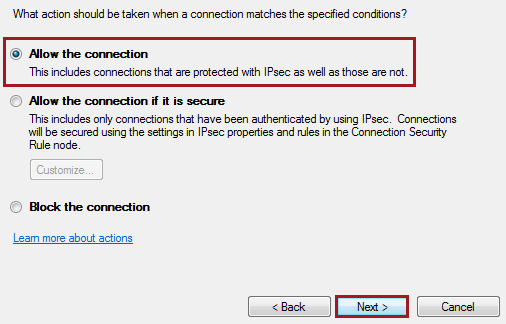 Once all the required information is entered in the new Network Connections, click the Save button in the bottom-right corner then click the red X in the top-right corner to close the Network Connections window and return to the login screen. Back on the login screen, click the drop-down menu below the Network Connection radio button and choose the new database connection from the list. Enter the Username and Password, then click Login to connect to the database. 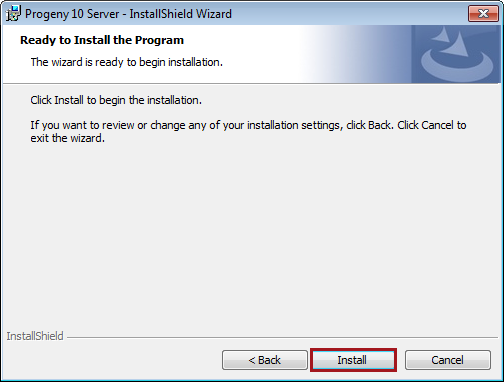 Double-click the .exe to launch the installation utility. $$$$ The broadcast name of database service. This can be the same as the first window when naming the service. %PATH% The path to the database file. Ensure it includes the .db extension and is encapsulated in quotation marks. Once the connection parameters are entered, click Next. 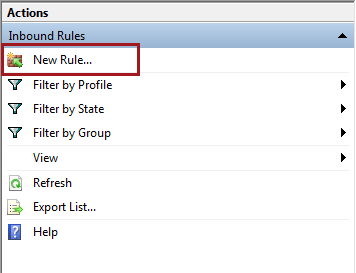 In the Select an Account window, keep the default-selected option Local system account unless your organization’s IT policy requires otherwise. Click Next to continue. If starting the Database Service fails, please contact Progeny Support for assistance. 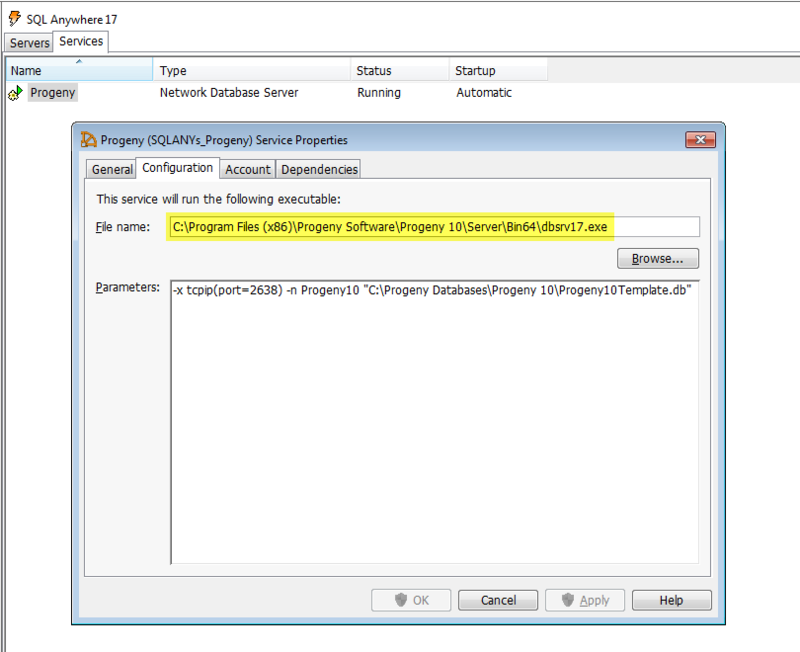 If you already have Progeny 9 Server (Sybase SQL Anywhere 12) installed, after you install Progeny 10 Server (Sybase SQL Anywhere 17), you will need to edit each existing database service by double-clicking the service, selecting the Configuration tab, and pointing the File name: to the Progeny 10 Server dbsrv17.exe file. The default path is C:\Program Files (x86)\Progeny Software\Progeny 10\Server\BIN64\dbsrv17.exe. Also, if you are using a 32-bit operating system, change “BIN64” in this path to “BIN32”. For web browser system requirements, see the System Requirements. 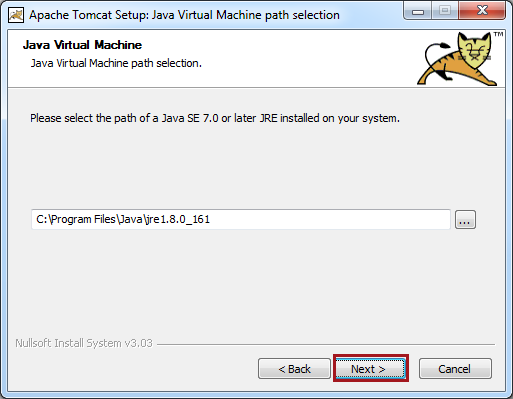 The first step is to install the Java Runtime installer as the Apache Tomcat install will reference Java during its own installation; you will have the opportunity to uninstall any unused older versions of Java, resulting in a more secure server. 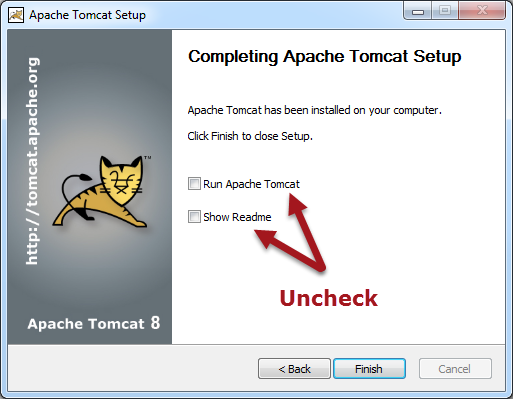 Once complete, launch the Apache Tomcat Setup (.exe). 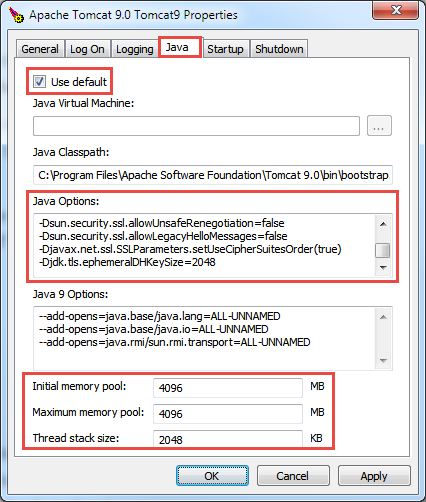 Ensure that the 64-bit version of Java is installed. Progeny is NOT compatible with the 32-bit version. 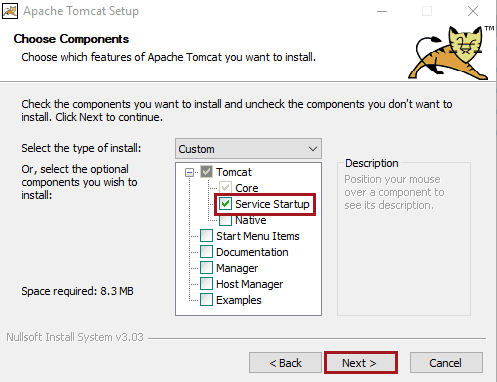 Click through the Apache Tomcat Setup welcome and licensing pages. On the Choose Components page, click the + (expansion button) next to the Tomcat item to reveal this additional options. 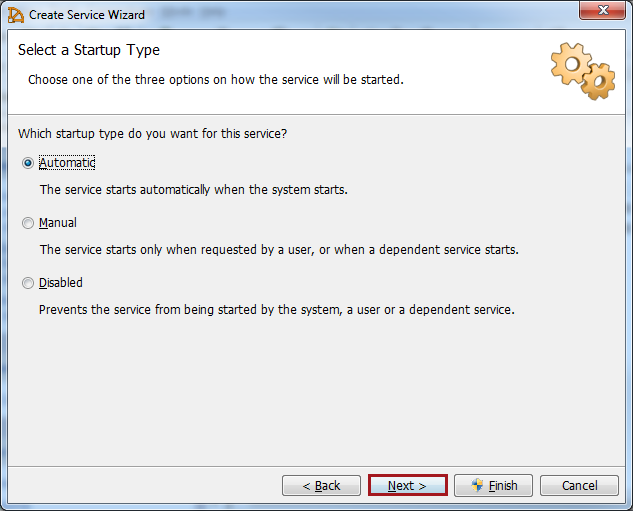 Check only the Service Startup option. Click Next to continue. HTTP/1.1 Connector Port Use port 80 if possible. Port 8080 works if 80 is unavailable. Once the desired modifications are made, click Next. 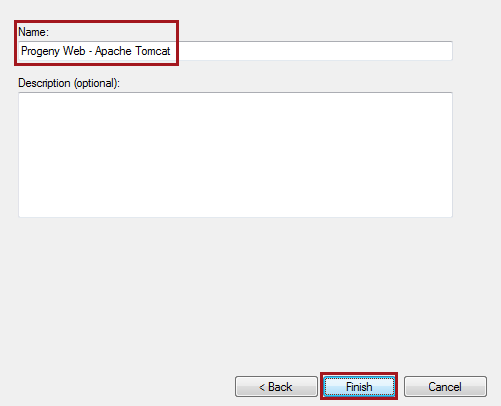 When Apache Tomcat is installed, a default ROOT folder is automatically created with the default Tomcat settings. This will be deleted and replaced with the Progeny Web application (ROOT.war file). Follow the next section in this guide for instructions on how to replace the default ROOT folder with the Progeny ROOT.war file before starting the Apache Tomcat service. A new page is displayed, input the Customer Number. Click Download (make a note of where the file is downloaded). 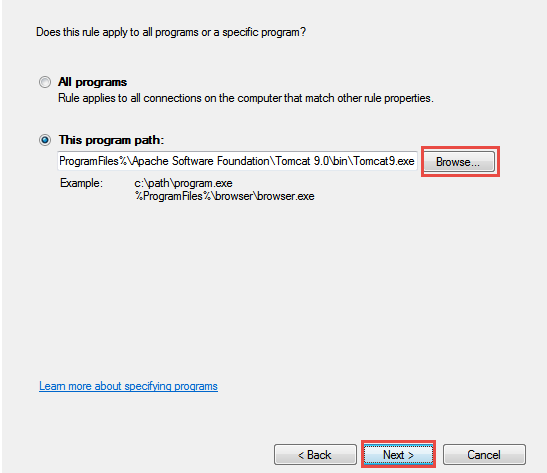 Open Windows Explorer and navigate to the Apache Tomcat installation directory C:\Program Files\Apache Software Foundation\Tomcat 9.0\ and open the ‘webapps’ folder. Delete the existing ROOT folder. 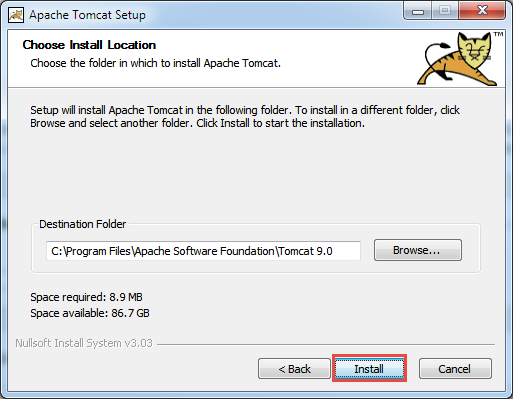 Navigate to the Apache Tomcat installation directory C:\Program Files\Apache Software Foundation\Tomcat 9.0 and open the ‘bin’ folder. Double-click to open ‘Tomcat9w.exe’. In the Initial memory pool and Maximum memory pool, enter the correct amount of memory based on the calculation below. For Thread stack size, enter 2048. The 4096 in the parameters above refers to the initial and maximum memory pool. About 50% of the workstation’s memory should be used. For example, it is recommended for a server with 8 GB of memory to allocate 4 GB. To convert GB to MB, multiply by 1024. Ex. 4 * 1024 = 4096 MB.Click OK to save the changes. 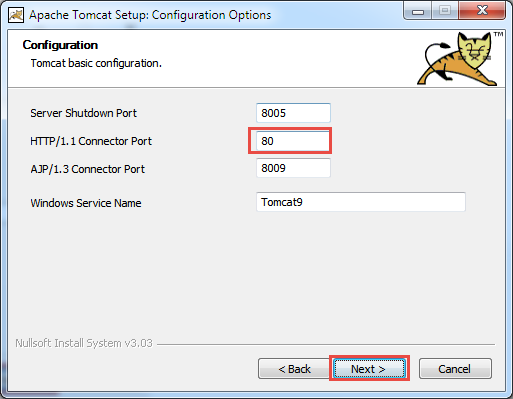 Start the Apache Tomcat 9 service via Task Manager or the Services program. When the service starts, within the ‘webapps’ folder, a new ROOT folder will automatically be created. Tomcat recognizes .war files as application packages and will automatically deploy it as an application folder – this may take 2-10 minutes as the WAR file needs to fully unpack the new ‘ROOT’ folder. 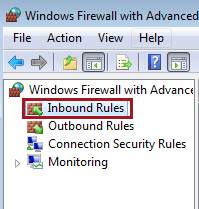 Firewall rules are created to allow a computer to send traffic to or receive traffic from specific services, programs, computers, or users. For Progeny to work properly, Inbound firewall rules need to be added for dbsrv17.exe and Tomcat9.exe. 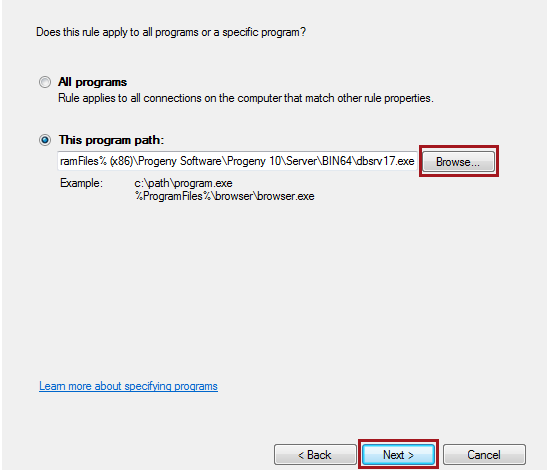 Choose the radio button for Program and select Next. Browse to find the program path C:\Program Files (x86)\Progeny Software\Progeny 10\Server\BIN64\dbsrv17.exe and select it then click Next. Choose the radio button Allow the connection and select Next. 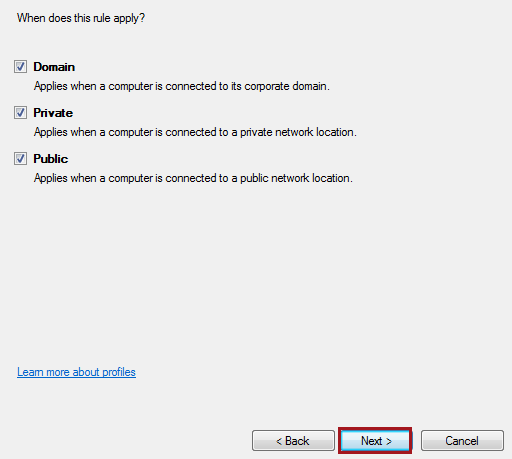 Select Next on this window or configure according to local network policy. Browse to find the program path Tomcat9.exe in the bin folder (default C:\Program Files\Apache Software Foundation\Tomcat 9.0\bin\Tomcat9.exe) and select it, then click Next. Click Next on this window or configure according to local network policy. If the setup to this point has been successful, a login page like the following should display. If this login page does not display, please review the installation steps or contact Progeny Support for assistance. 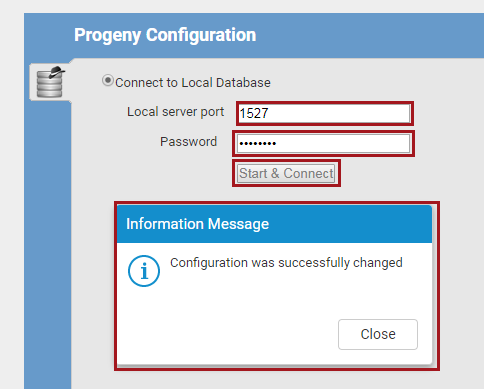 Once logged in, you are automatically directed to the Derby Configuration Database within the Progeny Configuration Window. Derby is a service that installs as soon as the ROOT.war web application is deployed. This small service contains the entire web application configuration. Enter the Local server port number. Note: By default, this port is set to 1527. Use the default configuration password. This password is “internal”. This password may have been changed by your organization. A message confirms, Configuration was successfully changed. Refresh the page (F5) and log in again with the configuration username and password. This option allows users to connect to a Derby service that is running on a separate machine. Configuration changes made on the parent server will reflect on the child. This gives the option to share Derby; as a result, the two web clients will have an identical configuration. Enter the Server host. This could either be the hostname or IP address of the remote machine already running Derby. Enter the Server port number. This is the port used on the remote Derby. A message confirms Configuration was successfully changed. After logging back into the Progeny Configuration, users are directed to the Security Management window. The license code may vary depending on the product purchased. If you are unsure of your License ID, please contact Progeny Support. Click Generate to create a Client Serial ID. 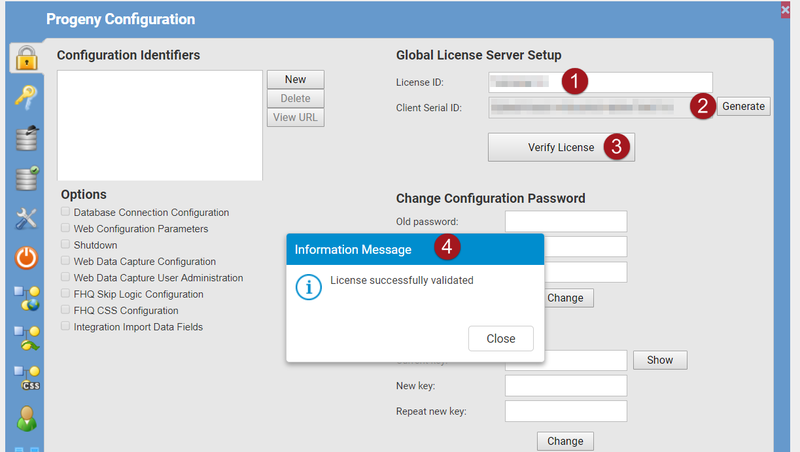 A message confirms License successfully validated. 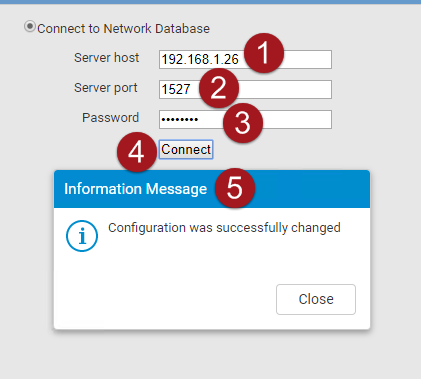 Click the Database Connection Configuration navigation button. Click the New button and enter the following information. Service Name This is the broadcast name of the network Database Service. It must match the broadcast name EXACTLY in both spelling and case. 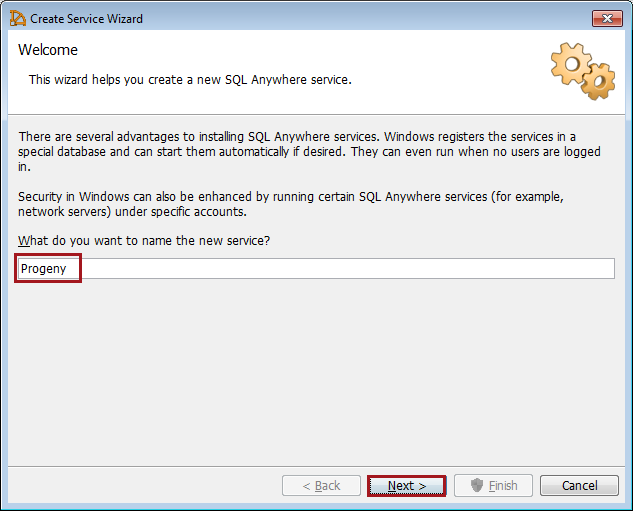 It is the value of the –n parameter in the service configuration of the database in SQL Anywhere. Database Name The Database Name parameter is not required. This is necessary if multiple databases are running off the same Database Service. Host Address This will be either the database server’s IP address, hostname, or FQDN (Fully Qualified Domain Name). Db Port This is the port on the database server that the Database Service is using for communication. When all items are entered, click Save. Use the Test Connection button to verify that the Web application can communicate with the Database Service. This function will prompt for the Admin password – ‘progeny’. The Progeny Web Server should now be fully operational – Congratulations!